Dunfermline have officially exited administration eight months after the Fife club were crippled by debts of close to £10m. Fans' group Pars United completed their acquisition of the club from administrators BDO in October as well as East End Park stadium. And the process was formally signed off in an Edinburgh courtroom on Friday. "This is another very significant step towards re-building our proud football club," read a statement. Dunfermline were forced to call in the administrators in March with huge debts when an unpaid tax bill of £134,000 resulted in a winding-up order. The club were subsequently deducted 15 points and were relegated to Scotland's third tier via last season's play-offs. However, in July creditors - including former owner Gavin Masterton - waived their right to money owed as they agreed to a Company Voluntary Arrangement which ultimately saved the club outfit from liquidation. 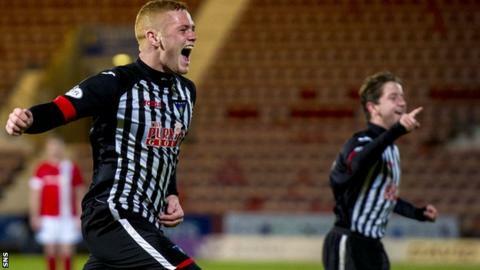 The Pars are currently second in League One, 16 points behind runaway leaders Rangers.